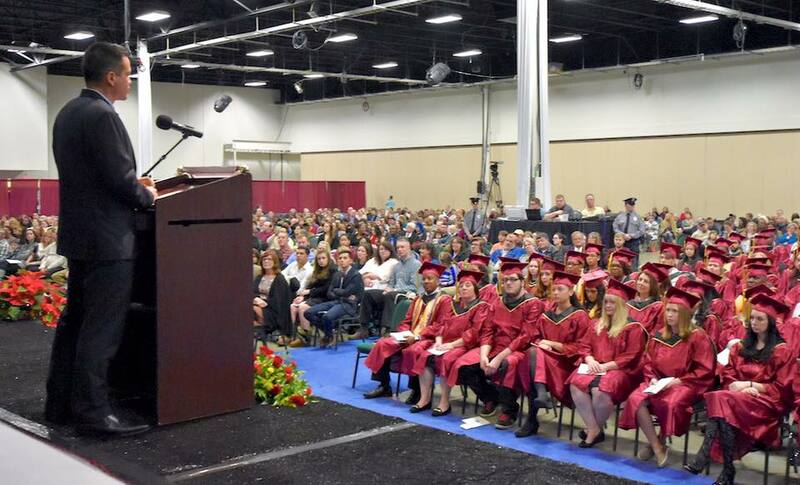 Germanna Community College 2015 Fall Commencement alum speaker Daniel Reichwein is an example of courage and perseverance for all of us. Reichwein, who has battled depression and PTSD, was living in a tent in a wooded area adjacent to the Fredericksburg Industrial Park when he enrolled at GCC in 2011. In spite of the problems he faced, Reichwein excelled, graduating from Germanna a year later with a 3.94 GPA while working 32 hours a week. 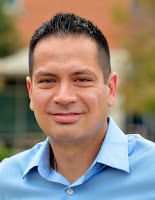 He transferred to William & Mary and earned his bachelor’s degree there last August. He’s currently a social worker with the Salvation Army in Fredericksburg, using his experiences to help others. 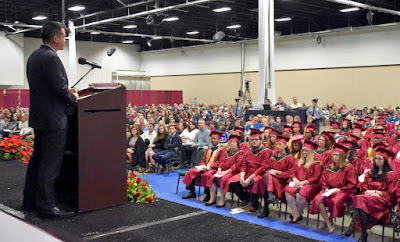 A total of 646 students were awarded 1,112 degrees and certificates Thursday night during commencement exercises at the Fredericksburg Expo Center. The 32-year-old Thornburg resident’s never-give-up message is one that failure needn’t be the end—that it can drive one on to success. He said Micah Ministries, which works with the homeless in Fredericksburg, helped him get a part time job and suggested he enroll at GCC. One of Micah’s employees drove him to the college. Another Micah employee, Dawn Witter, took him in. He called his three years of homelessness “a learning experience” and said much of what he learned came when he put aside his own concerns to help other homeless people. 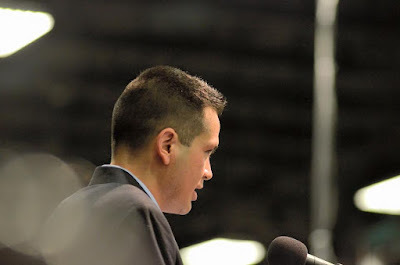 “What’s made the biggest difference in my life is failure—three years of homelessness, dropping out of college without finishing and being discharged from the military basically for not showing up for work,” Reichwein told a crowd of 2,000 Thursday night at the Fredericksburg Expo Center.He was given an honorary discharge as an Army Reservist due to depression. “Failure drives success,’ he said. "Failure strengthens us. I teaches us. It enables us to change. The second crucial component in changing his life was tenacity, he said. After graduating from William & Mary, he said, “I thought things would be easy.” But a job offer in Washington fell through and he nearly found himself homeless again. Finally, he learned that satisfaction and a sense of completeness must be derived from within oneself. 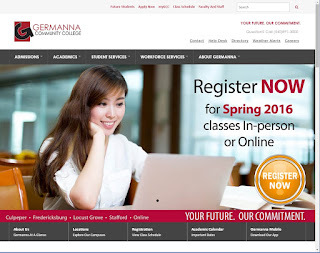 Get ready for the new Germanna website! The Office of Marketing and Public Information will launch the newly redesigned Germanna website on Friday morning, Dec. 18th. This new design will be accompanied by a switch to a new content management system for the site. The nine-month redesign and migration project brought together content experts across the college in effort to improve the student experience online. On the new home page, you’ll see minimalist, responsive design and navigation features such as new graphics, simplified menus, and new sliders highlighting Germanna services, announcements and upcoming events. Marketing will swap out the Germanna website at 8 a.m. on Friday, December 18th. The website will be down for several hours during this process. In addition, the Google Search feature will not work completely for 24 to 48 hours after the site goes live. Google needs time to pass over our entire new website. During the switch, services such as myGCC, Blackboard, Germanna Central, and Outlook 365 will remain available via the links below. After the new site goes live, if you notice that something is missing please contact marketing@germanna.edu and we will find it for you and make it accessible to you. 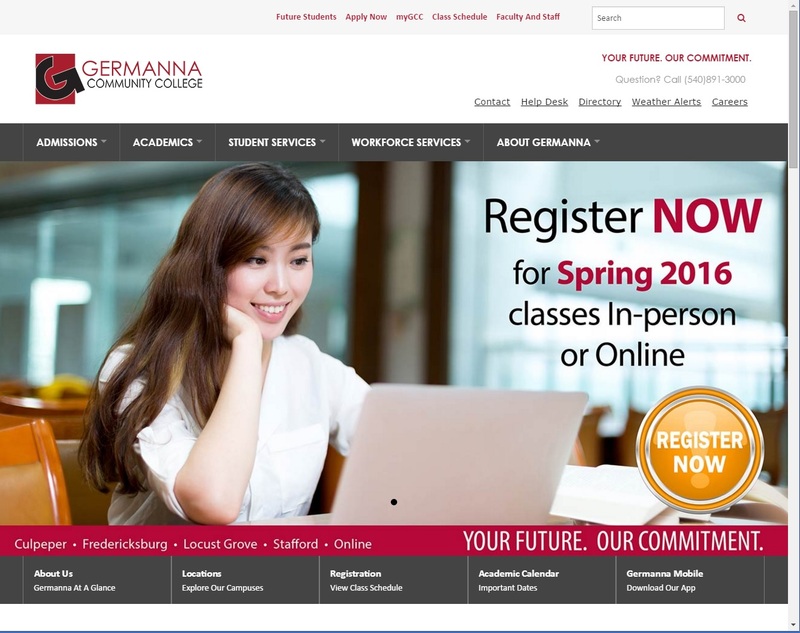 We hope you are excited by the new look and functionality of the Germanna website!